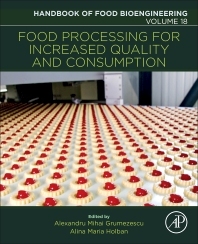 Food Processing for Increased Quality and Consumption, Volume 18 in the Handbook of Food Bioengineering series, offers an updated perspective on the novel technologies utilized in food processing. This resource highlights their impact on health, industry and food bioengineering, also emphasizing the newest aspects of investigated technologies and specific food products through recently developed processing methods. As processed foods are more frequently consumed, there is increased demand to produce foods that attract people based on individual preferences, such as taste, texture or nutritional value. This book provides advantageous tools that improve food quality, preservation and aesthetics.